GCARBON is one of the pioneering suppliers of activated carbon to the gold mining industry when the industry switched to this method from the traditional and highly polluting chemical extraction process in the 1970s. Today’s gold mining operations optimize efficiency and output through the use of superior GCARBON gold recovery carbon technology. The intrinsic hardness, high density, particle to particle consistency in activity and very low platelet of our activated carbons has led to its superior performance in the gold recovery process imparting high (K value) and rate of adsorption (R value). Gold extraction is the main application of activated carbons in the precious metals extraction industry. GCARBON’s superior hardness and abrasion resistance ensure minimum breakdown of carbon in the circuit and, in turn, the loss of gold and operational delays due to blanking of screens. Routine testing of plant carbons to evaluate carbon condition and regeneration efficiency. 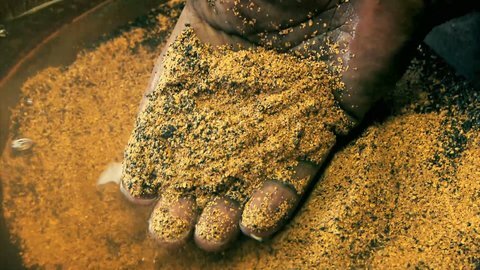 This includes testing of bulk density, particle size distribution, volatile matter, ash, attrition, gold activity and hardness on a mutually agreed frequency.